2016 sure took its time getting here. Then, at the last minute – at the very end of the eleventh hour, it came tearing up the stairs – taking them two and three at a time. Sliding through the door just as the clock struck midnight – winded from running – huffing and puffing “I’m here... sorry...sorry! I’m here. OK what’s happening what are we doing? I’m here. Sorry, I’m here now.” All right then. You’d think I’d eventually learn my lesson about cramming so many things into my schedule, but no. As I look at my 2016 calendar, the winter and spring months are already liberally peppered with visiting artist residencies, composing deadlines, workshops, concerts, and lots of travel! It’s going to be tricky making time to prepare for my big San Francisco Yerba Buena Center for the Arts production of Memory Trace at the end of April. But, during the days falling in between all my various touring and composing obligations, I’ll be working diligently on expanding the scale, developing more content, and fine-tuning the piece. After an intimate workshop-performance run at Royce Gallery this past summer, I’ll be presenting the new and expanded version of Memory Trace as the opening event of YBCA’s New Frequencies Festival on April 28th. I spent the better part of the fall 2015 season away from San Francisco – doing a McKnight composer’s residency in the Twin Cities, visiting family in Colorado, and giving performances and having work performed in New York. 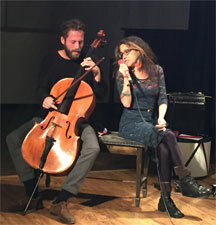 When I returned to San Francisco, I made up for lost time by shoehorning an absurd number of solo performances, lecture/demos, and shared evenings – including a tidy little ROOM Series of duets – into the month of November. The 2015 ROOM Series was short, but very sweet! 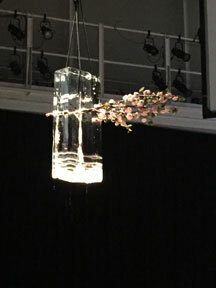 I presented two concerts of duets – each featuring four musicians working together in every possible combination. The beautiful line-up consisted of Jorge Bachmann, Lisa Mezzacappa, Amy X Neuburg, Teddy Rankin-Parker, Crystal Pascucci, Tim Perkis, Ken Ueno, and yours truly. 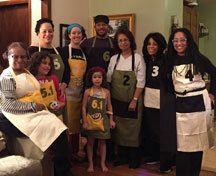 It was tremendous fun for the players and the audiences alike. In addition to those two concerts, I went to New York for a duo concert with Miguel Frasconi and a performance of my string quartet by Ethel. And, back in the Bay Area, I gave solo performances on shared evenings at Center for New Music, the Future Fair at SF’s iHanger, and Light Exchange Salon Series in Oakland. Picasso's 1954 Sylvette (26" high) bears a startling resemblance to the mammoth (36-foot, 60 ton) version in front of NYU's Silver Towers housing on Bleeker Street. After all of that frenetic performance activity, I made time for some much-needed family holiday magic – celebrating Thanksgiving in Colorado, and Christmahannukwanstice in New York. 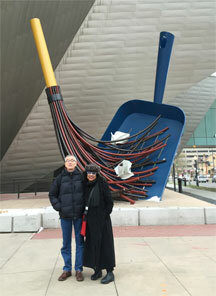 And I made time to take in lots of art along the way. all time favorite museums. 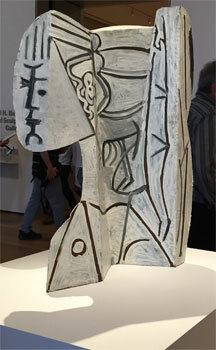 Earlier in fall I enjoyed the Picasso sculpture exhibition at MoMA, and John Sanborn's striking 9-channel video installation at SF Camerawork. There was no shortage of powerful performance work during those very busy fall months. 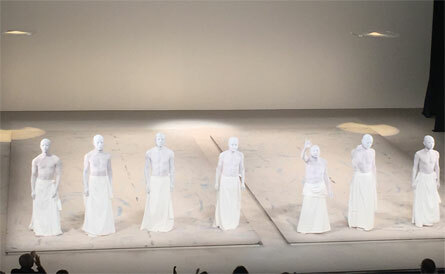 I saw the beautiful Sankai Juku performance at BAM in Brooklyn, Mary Armentrout Dance Theater’s latest site specific dance/installation work at Chalk Hill in Sonoma County, Sara Shelton Mann’s epic retrospective at YBCA in San Francisco, and ground-breaking prepared pianist Hauschka at National Sawdust in New York. 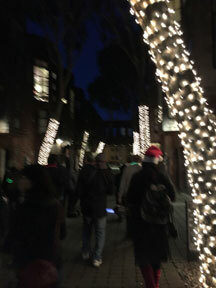 I also had the joy of joining in on the San Francisco rendition of Phil Kline’s annual roving boombox-driven tape-music concert Unsilent Night. As I write this, I’m in the midst of preparations for all the upcoming work I have in front of me. I’m just about to head out and fly down to give a performance and talks at CalTech in Pasadena, and then just continue sliding forward through all the unending tasks on my crazy winter and spring schedule. I'm hard at work integrating MIMU (Donald Swearingen and my latest gesture control device) into my performance system, and trying to coordinate the components of all my upcoming performance and composing projects. In addition to my performing engagements and the new work I need to compose, I also have work being as the score for a new dance work by choreographer Donald Byrd. 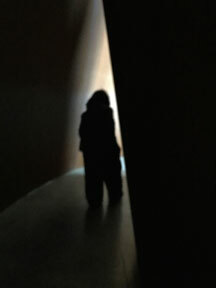 Fortuitously, he's chosen existing work – namely the piece I wrote for Kronos Quartet a few years ago. But, the project still requires my getting together parts and sound files for the quartet that will be playing the piece live. So much to do, and so little time. And look: we're already almost a month into 2016! I’d love to stick around and chat more, but I’ve gotta run! Maybe I’ll see you at one of my many upcoming events. Read on for the deets! Morteza Gharib, Hans W. Liepmann Professor of Aeronautics and Professor of Bioinspired Engineering, Caltech. 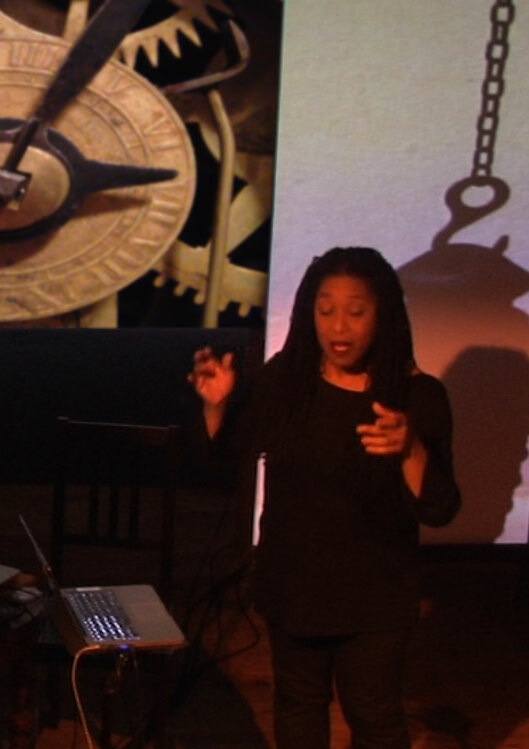 Pamela Z will perform a 25-minute set of works for voice, electronics, and gesture controllers, followed by presentations by Ms. Z and Professor Gharib, and a discussion and Q & A. This series features conversations between artists and scholars on themes related to art, science, and technology. Participants include contemporary artists and scholars from different fields, from the humanities to science and technology, who deal with similar concepts through different means. At each event, the panelists give brief presentations on their own work and participate in a facilitated discussion on the evening's theme. 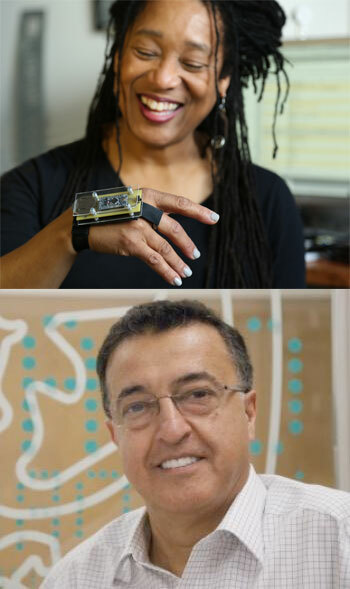 The panels are organized to coincide with ongoing discussions in Caltech undergraduate classes and are intended to be of general interest to Caltech faculty, students, and the community at large. 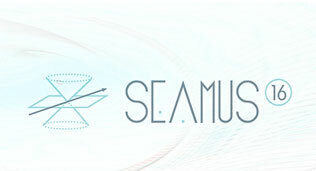 Pamela Z attends the SEAMUS (Society of Electro-Acoustic Music) Conference to receive the SEAMUS Lifetime Achievement Award. 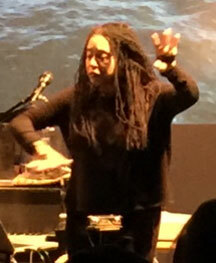 She will give a solo performance as part of SEAMUS National Conference 2016 at Georgia Southern University in Statesboro, GA USA	. Music on the program will be performed live by Seattle based string quartet Simple Measures and Judith Cohen and will also include original compositions by Wynton Marsalis and T.J. Anderson. 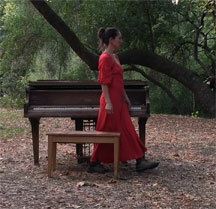 Pamela Z will give a solo concert as part of the WAM Local Sirens Series at Monarch at 8pm in San Francisco, CA USA. Pamela Z’s Suitcase (a part of her Baggage Allowance installation) will be on exhibit as part of After Dark: Extended Cinemas at The Exploratorium at 6pm in San Francisco, CA USA. 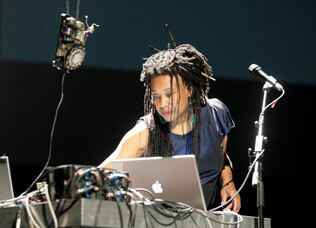 Pamela Z performs a program of solo works for voice and electronics presented by the MIT Center for Art, Science & Technology (CAST) as part of the MIT Soundings Series at Le Laboratoire in Cambridge, MA USA. 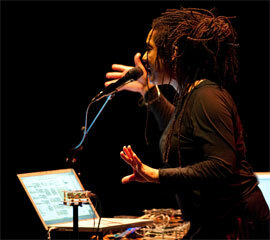 Pamela Z performs two sets of works for voice and electronics as part of "RELATION", a series curated by Met Museum Artist-in-Residence, Vijay Iyer at The Met Breuer in New York. 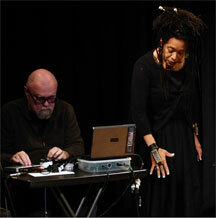 Pamela Z will give performances at 2:00 PM and 3:15 PM. An exploration of human voice wirh virtuoso singers. Explore the exhibition galleires and discover simultaneous performances throughout the building – including Pamela Z performing works for solo voice and electronics, bass vocalist Richard Mix singing unaccompanied works by Julan Eastman, and the Cornelius Cardew Choir – a “Deep Listening” collective. 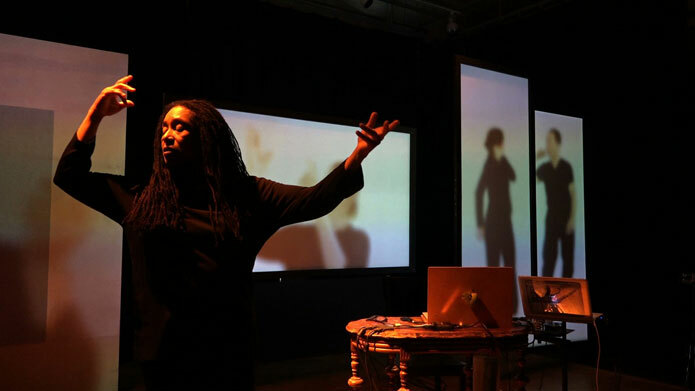 Pamela Z gives a performance of works for voice & electronics with multi-channel sound and video in the CUBE at Moss Arts Center at 3pm in Blacksburg, VA USA. 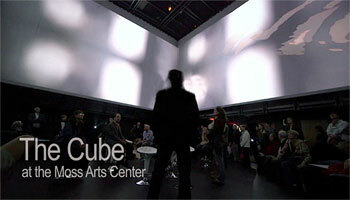 This performance culminates a week-long residency with the School of Performing Arts, and includes a new work designed specifically for the Cube’s unique environment in collaboration with Eric Lyon, associate professor of music technology and composition. 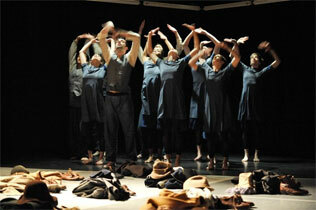 Presented in partnership with the School of Performing Arts. "I can still remember the time in the early nineteen nineties when I first purchased memory. I delighted in the fact that I could hold it in my hand: a thin, green wafer etched with a lattice of metal lines. And I quickly noticed parallels between the computer’s memory and my own. 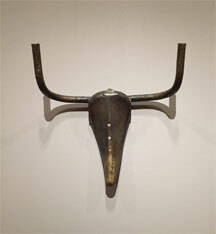 Prone to anthropomorphism, I continue to compare and often confuse the two. I am interested in exploring how humans and computers store memory. How do they 'misplace' information and how do they lose it entirely? How can we differentiate between dreams, 'real' and 'manufactured' memories? How do certain sounds and aromas trigger very old memories?" Memory Trace explores these questions through a series of dreamlike sonic and visual episodes of remembering and forgetting. 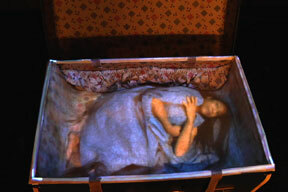 Memory Trace was made possible by grants from the San Francisco Art Commission and the Center for Cultural Innovation.